We have designed, supplied and installed over 300+ exceptional kitchens, including granite, quartz and soapstone countertops. In addition to designing stunning kitchens, we fabricate our own granite, quartz and soapstone countertops here in the Niagara. This not only saves our customers money, but significantly cuts down on the time you have to wait for your new kitchen. Contact us today to find out how we can have your new kitchen designed and installed in 7 business days! Our competitors require 4-8 weeks from time of sale to install a kitchen because they rely on outside suppliers – not us! We keep our local warehouse well stocked with thousands of cabinets and countertops just waiting for your call! 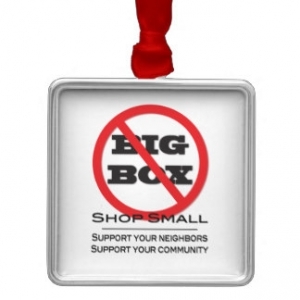 Why you should say ‘No’ to the Big Box stores. Our kitchen cabinets are built using solid maple, not particle board, and include a 10 year warranty. Even better, all our hardware comes with a lifetime warranty. 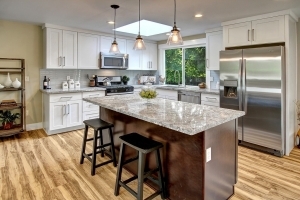 We will even fix your granite countertops for free if you’ve had a minor accident – for life! Contact us today to find out how much you’ll save over the ‘Big Box’ guys.